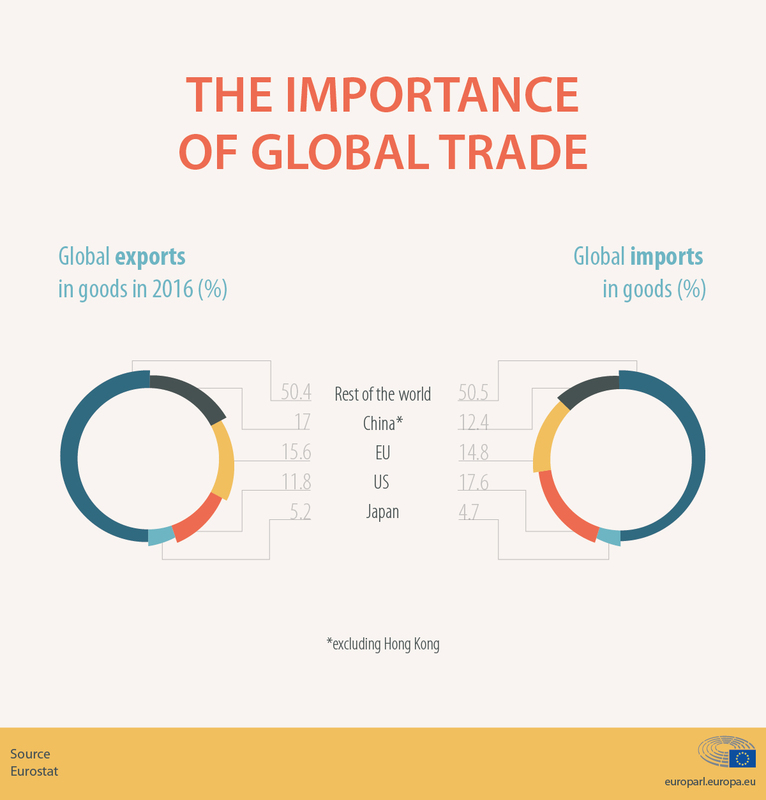 Find key figures about the EU’s trade with the world in our infographic: exports, imports, number of related jobs in the EU and more. The EU has always been about promoting trade: not only by removing barriers to trade between EU countries, but also by encouraging other countries to trade with the EU. In 2016, EU exports represented 15.6% of global exports and EU imports 14.8%, making it one of the world’s biggest trade players alongside the US and China. The EU currently has 116 trade agreements in place or in the process of being updated or negotiated. Trade agreements are not only an opportunity to reduce tariffs, but also to get our partners to recognise EU quality and safety standards, and to respect products with a protected designation of origin, such as champagne or roquefort cheese. This is very important as European food products enjoy a worldwide reputation for excellence and tradition. 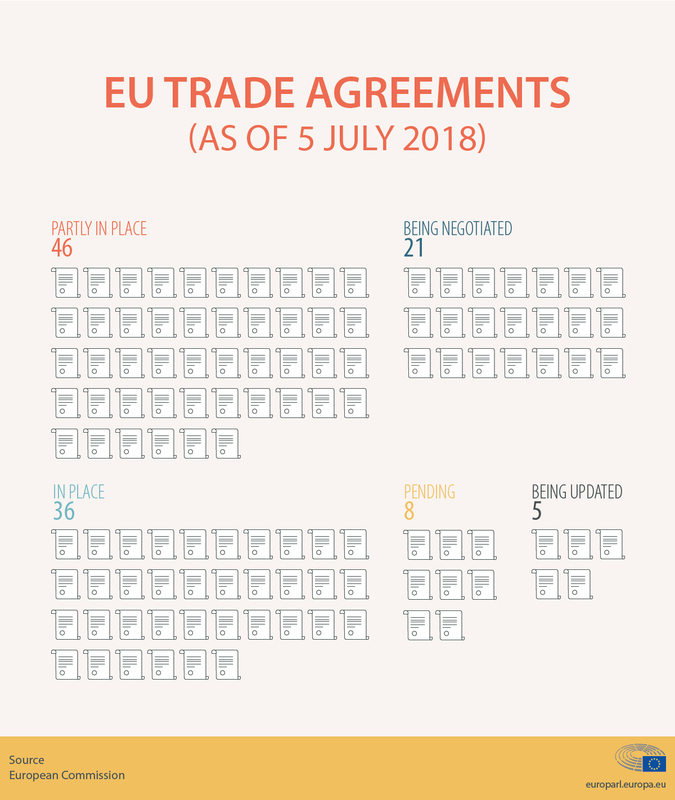 The EU also uses trade agreements to set standards for environment and labour, for example to avoid the importation of products produced using child labour. The latest EU trade agreement signed was with Japan, but many others are being negotiated. European firms not only benefit from economies of scale that being part of the world’s largest single market entail, but also from trade agreements that enable EU enterprises export many of their services and goods. At the same time foreign firms wanting to export to the EU have to meet the same high standards as local firms so there is no risk of unfair competition by non-EU companies cutting corners. In terms of exports of goods, the EU’s largest partners are the US (20%), China (10.5%) and Switzerland (8%). 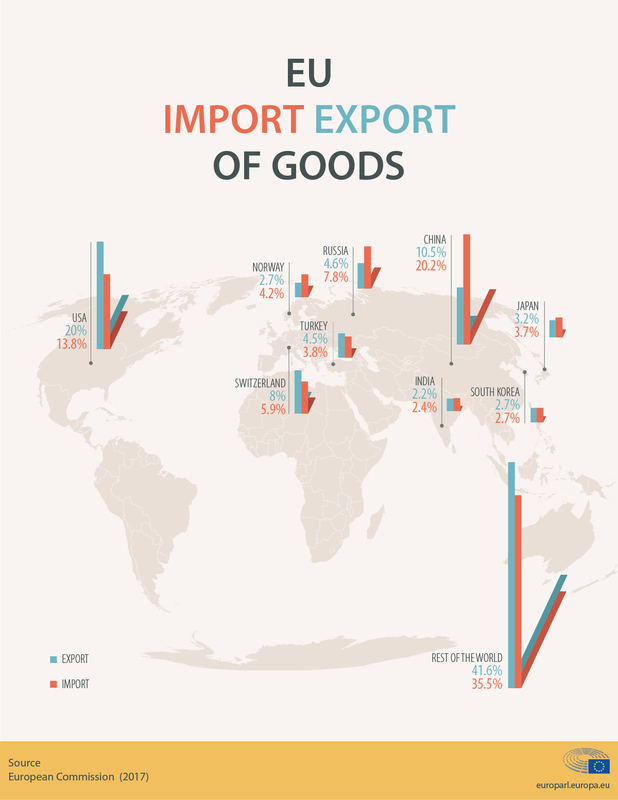 The EU imports most from China (20.2%) followed by the US (13.8%) and Russia (7.8%). 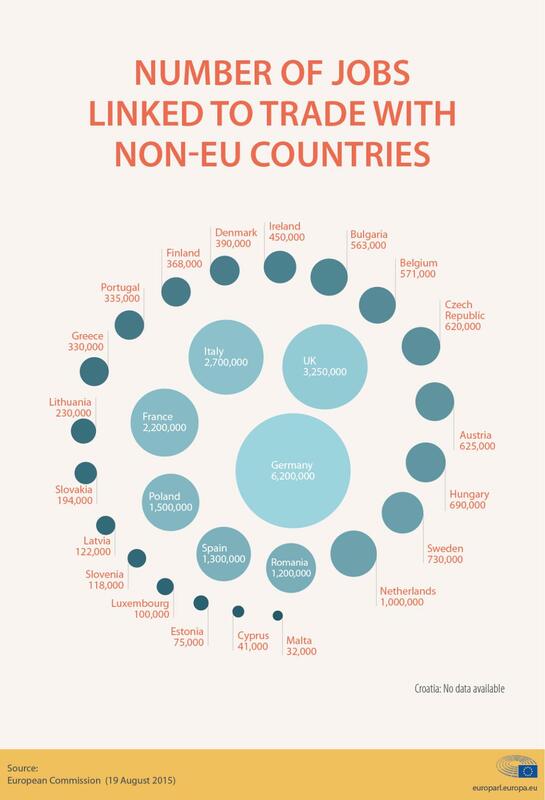 Trade with non-EU countries has led to the creation of millions of jobs in Europe. In 2015, the European Commission estimated that about 26 million jobs are linked to trade with non-EU countries. 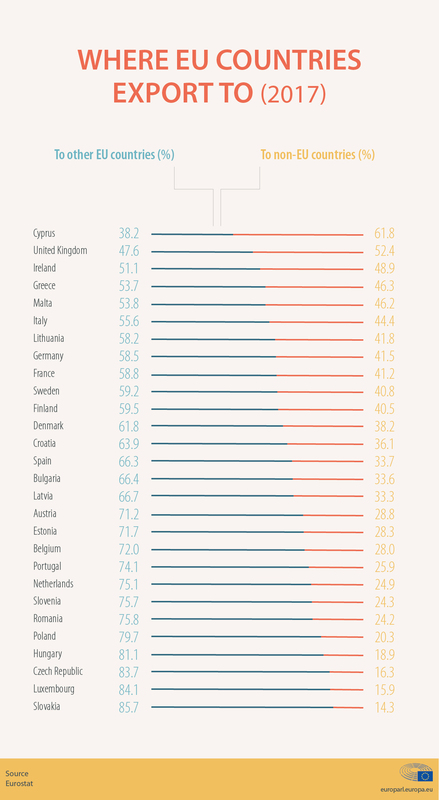 Being in the same single market has also led to more trade between EU countries. In addition the import of goods and services from outside the EU has forced European companies to be more competitive, while offering consumers more choice and lower prices.